SONM Caption Competition - Final Results! 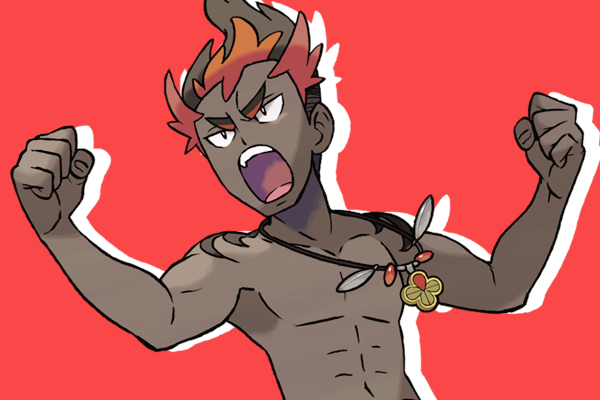 I've decided to bring this back, after a LONG slumber so I hope people have good fun with it! This is a competition, where I, your friendly neighbourhood GuitarHero, post a gaming-related image twice a week (will I regret specifying a schedule? Most likely). The results for the previous week will be revealed at the same time. Please feel free to comment on other people's captions, commenting on how witty and hilarious (or not) you find them. There are no sign-ups (unless people want a PMing list, something I did for the previous iteration back in the day) so anyone can join! I also intend to do a spreadsheet rather than several posts of statistics, as I feel like that will be much more efficient and easy to change than what I did before. I love statistics, just FYI! I'd just like to add here that I'd like to give a big thank you to whoever archived the original thread, as most of this is just copy and pasted from there. I even managed to find 3 of the 4 old banners too, which is a big help! Last edited by GuitarHero on Sat Mar 05, 2016 10:48 pm, edited 33 times in total. There is a leaderboard located here but I thought I'd put one here too for clarity's sake. 10th) 0 Points - Blaxel411, Ghost, masa, Sabofra, danbish. Last edited by GuitarHero on Sat Mar 05, 2016 10:35 pm, edited 36 times in total. I used this post for entries in the previous iteration, but I'm struggling to remember why so as you may have noticed I've stopped doing this. I'll try and use this post for something else, possibly an archive. I've also swapped the leaderboard with this post, just so its higher up and clearer. Last edited by GuitarHero on Wed Feb 03, 2016 10:51 pm, edited 14 times in total. Sonic the Hedgehog and his grandfather infiltrate Nintendo's headquarters as an act of revenge by disguising themselves as Nintendo consoles. "Grandpa, I can see your battery pack!" The Game Boy takes his grandson out to get a go at his touch controls while his grandson presses his buttons. Wow, thanks a bunch OR. I was worried Ape would be the only entrant! "Grandad never really understood why conjoined twins were all the range in the mid-2000s"
Ah, geengy I remember you entering too - I think you entered the very first round, even. "Gameboy is shocked at how much his grandson DS likes to be touched. Statistics show that the newer generations are sluttier than their predecessors." "Back in my day all this was black and white"
Round 1 Result and Round 2 Image! A good amount of entries to start with, attacking the image with (sometimes attempts at) humour from different angles. So without further ado here are the very first results! Gotta love the awesome alliteration. 2nd) Ape - Sonic the Hedgehog and his grandfather infiltrate Nintendo's headquarters as an act of revenge by disguising themselves as Nintendo consoles. I didn't notice their feet were like Sonic's before I read this! 3rd) mewthree - The Game Boy takes his grandson out to get a go at his touch controls while his grandson presses his buttons. As quite a few of you went for the creepy old man vibe (nothing can ever be taken innocently on here... ), I thought this was the best of those. Re: SONM Caption Competition - Round 2 now Live! "Join me, and we can play Mario Galaxy together!" "Bwa ha ha! Did you really think that after 30 years you'd still be able to beat me with that hammer? Try jumping and getting it, I dare you - there is no gravity. You'll just float away. Now scram!" "Yo peach-chan, what you think of my giant salty ball??" "That's no moon, it's a space station, with an axe on one side!" 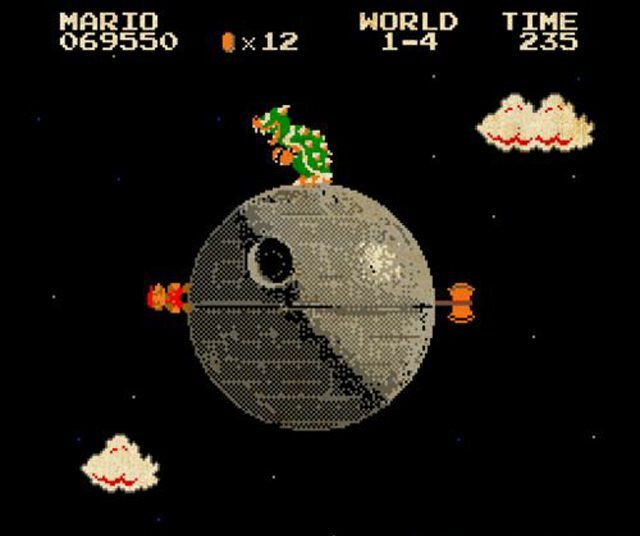 Sorry Bowser, Princess Leia is in another Death Star. "Bowser this is getting out of hand now." "I'm sorry Mario, but our Princess is in another Star System".